Toronto Audio Visual Rentals was launched to provide the best of the Audio Visual rental, installation and consulting services. Our team members are fully trained and can help you organize all kinds of events and programs successfully. We provide state of the art lighting, audio-video and staging equipment’s that are designed to help you organize your conferences, annual meetings, events and other programs exactly the way you desire. 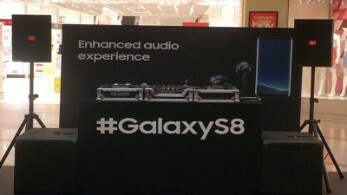 What sets us apart from our competitors is our high-quality service and audio visual equipment’s. 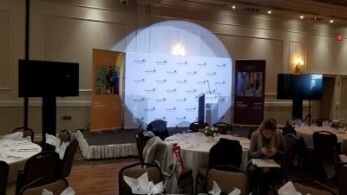 Toronto Audio Visual Rental's extensively professional and trained team members will provide you with complete assistance through each and every step of budgeting, planning and presentation of an event or program that will help you leave an indelible impression over your audience. Toronto Audio Visual Rentals was founded in the year 2013 as a small company that focused purely on offering high-quality technical support and cutting-edge multimedia and audiovisual services. We later expanded as an organization through our commitment, dedication and superior quality products and services. We offer top-quality and highly focused support to meeting organizers, planners, event managers, producers, marketing organizations and corporate customers. 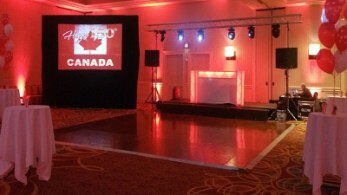 Apart from providing high-quality audio visual equipment’s on rent, our staff members also provide the complete event management and organizing services, which typically includes services such as survey of the site, 3D room rendering, CAD floor planning, multimedia creation services, wiring installation, on-site technical assistance and stage management services. Today, Toronto Audio Visual Rentals is considered as a premier organization that offers full service technical support and production services alongside a wide range of audio visual equipment rental and installation services and support for all kinds of corporate and individual customers. With our base in Toronto, Toronto Audio Visual Rentals is providing high-quality technical assistance to corporate and individual customers to help them organize their events, conferences, meetings and other programs successfully. We have a simple motto of offering the best and the latest audio visual equipment’s and staging support and services with the help of our professional, knowledgeable and experienced staff members. Whether you are planning to organize a small conference or meeting or even if you intend to hold a trade show or gala event, our end-to-end technical support and audio-visual services can help you fulfill your desires easily.